Discussion in 'Conspiracy Theories' started by Mick West, Oct 9, 2016. The United States has been caught repainting several of their fighter jets in RUSSIAN Air Force Colors. Training? Or are they preparing to launch a horrific bombing inside Syria, then blaming it on the Russians as a precursor to US military action inside Syria? Eye-catching paint schemes which make fighter planes similar to their Russian counterparts have become a distinguishing feature of U.S. Aggressors and Adversary jets. THE IDEA OF TRAINING against a highly disciplined enemy originated in 1968 with a study conducted by Capt. Frank W. Ault, formerly commanding officer of the aircraft carrier Coral Sea. The conclusions he reached underlined the hard lesson learned by American airmen in the skies of Southeast Asia: peacetime training was seriously deficient when applied to the fierce chaos of actual battle. After the [Vietnam] war, the Air Force created Adversary Tactics, part of the Tactical Fighter Weapons Center, and under it the 64th and 65th Air Force Aggressor Squadrons, each with about 30 planes and pilots thoroughly trained to fight, fly and think the way a Soviet pilot would. Squadron members wear shoulder patches of a red star in the cross hairs of a gunsight. There are two sister Aggressor squadrons, one in England, one in the Philippines. After the briefing, the pilots scrambled into their planes to run through the exercise. The surrogate Soviet pilots fly small, quick F-5's painted with various Soviet-bloc camouflage schemes. American pilots fly the F-15E's, the primary Air Force air-to-air combat aircraft. Two squadrons of 53 "agressor" pilots are based at Nellis to give F15 pilots experience in spotting and fighting Mig-sized jets flown by pilots schooled in Soviet flying tactics and philosophy. Largely a product of the Vietnam war, four "aggressor" squadrons have been formed by the Air Force. In Vietnam, it was found that once combat pilots safely finished 10 missions they were most likely to complete their tours of duty alive. The Northrop F5Es the "agressors" use are close in size to the Mig21, a common Soviet fighter plane. The planes are painted in one of five Soviet designs. So clearly it's being used for training, but is it possible to be used for a "false flag"? No it's not, for the simple reason that people have cameras. 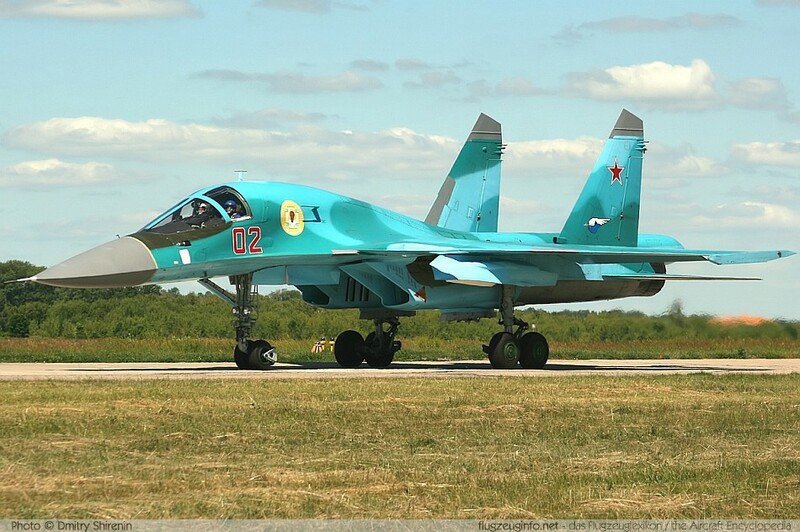 The plane that is being emulated is the Russian Su-27 "Flanker". Superficially it's a similar plane, but it would easily be identified even from relatively small photographs. Even with more similar planes, a US jet pretending to be a Russian jet would be identified as such almost instantly. Since the collapse of the Soviet Union, hardware used by the former Warsaw Pact has been a lot easier to come by. In fact several Western nations have purchased examples so that they can be analysed for strengths and weaknesses (the UK bought several T80 tanks, via a third party, for such a purpose back in 1992). If the US wanted to mount a 'false flag' attack implicating the Russian air force it would be far more rational for them to use actual Russian aircraft that they could easily buy on the open market or from friendly, former Soviet client states that still have them in their arsenals (Iraq, for instance, which has the added benefit of being a lot closer to Syria than South Carolina is). It makes far more sense to do that than to wheel out their own repainted aircraft, in full view of civilians with cameras, then transport them halfway across the world. Of course, I've now given Conspiracy Theorists ammunition for a new allegation but at least this one has some plausibility, even if there's no evidence for it! Go away with all your logic and reasoning. I think it is safe to assume if you saw some T80's flying towards you it is part of a false flag attack. I would be concerned. of coursde if it was P80s/T33s, they would just be VERY old. The bottom right in the OP is ACTUALLY an Su34 btw. Same family but it's a 2 seater with side by side seating. True, although the F18C as pictured in the Russian style markings is probably closer in size to the MiG 29 (which looks superficially very similar to the Su27) whereas the Fa/18 E is a bit bigger. I always thought the Su27 was similar size to the F15. either way, it doesn't really matter. The F18s are painted that way to act as aggressor squadrons in a similar configuration to the projected enemy aircraft, in much the same way they used to use F5s to replicate MiG21s. It is certainly NOT in preparation for some ridiculous "false FLag" when the military in the area being bombed would know the difference between the aircraft. The people pushing the conspiracy story lifted the images from an aviation enthusiast Facebook page. The images were discussed in the following article. The charcoal gray on top sky blue sides and undersides reflects the scheme being applied to current Russian Air Force and Russian Navy aircraft. Not just the Su-34 Fullback as already noted but also newer versions of the Flanker series such as the Su-30 and Su-35. Su-30SM of the Russian Air Force imaged during 2015. Su-30SM of the Russian Navy imaged during 2015. This must be a mirrored photo. I flipped it to match the one above it for easy comparison. I'll add a note. RT is promoting the hoax. Their article does indirectly note this is standard practice, they do this downpage, and I think the net effect of the article is going to be to spread the hoax. So how would the US military authorize the flight of Russian Su-27s/34s to Syria, without the Russians finding out, IF what you say about using ACTUAL Russian planes for a false flag attack is true? Do you think that the Russians will just politely ignore Russian warplanes in the hands of the US heading to Syria? Are you serious? And that training claim is complete hogwash. You target-lock enemy planes from miles away. There is no way you would see the plane you're targeting. But color and decal patterns play a BIG part with the inexperienced, scared and confused public. Much like the same way THREE buildings all folded into their own foot prints one day from planes smashing into only TWO of them. And if you claim that the US already has some Russian planes, then why would you repaint the American ones to look like them? Do you think that the Russians will just politely ignore Russian warplanes in the hands of the US heading to Syria? Of course not. The entire false flag in a civilian area idea is pretty much a non-starter. But color and decal patterns play a BIG part with the inexperienced, scared and confused public. That would have been true thirty years ago. But now everyone has a camera, and some of them have zoom lenses. And that training claim is complete hogwash. You target-lock enemy planes from miles away. There is no way you would see the plane you're targeting. Incorrect. Air-to-air combat within visual range is still taught and practiced. It hasn't gone away and that is why even aircraft such as the low observable Russian PAK-FA and US F-22, F-35A still have an internal cannon and use short range missiles. The up-close dogfight is still trained for. Read the following article from US Lt. Col. Fred "Spanky" Clifton. With AEAA radars, more effective BVR missiles, an increasingly networked battlespace, HOBS missiles and high end sensor fusion now a reality, is the dogfight finally a relic of the past? This has been an assumption by so-called experts since the 1950s. Unfortunately, these experts have never flown fighters and we've proven many times since that aircraft will get into the visual arena even with sophisticated BVR sensors and weapons. We build better BVR weapons and our adversaries build better radar jammers. And it goes around and around and around. Networks can be jammed and/or compromised. So yes, dogfighting is not dead. So how would the US military authorize the flight of Russian Su-27s/34s to Syria, without the Russians finding out, IF what you say about using ACTUAL Russian planes for a false flag attack is true? Do you think that the Russians will just politely ignore Russian warplanes in the hands of the US heading to Syria? By that measure, how would the US move a bunch of F/A-18's painted in Russian air force colours from South Carolina to the Middle East without the Russians knowing about it? Especially now pictures of them have appeared in an aviation magazine and on the internet? As Mick says, the whole idea of a 'false flag' is a non-starter, whatever scenario you use. Ok so, there's a few things to take into account here. Part of my job as a US Marine (many years ago) was sortie communications. Part of THAT includes understanding how and when fixed and rotary wing aircraft "talk" to one another. There is a difference between being able to SEE a target at mid to short range and being able to engage that target and mid to short range. 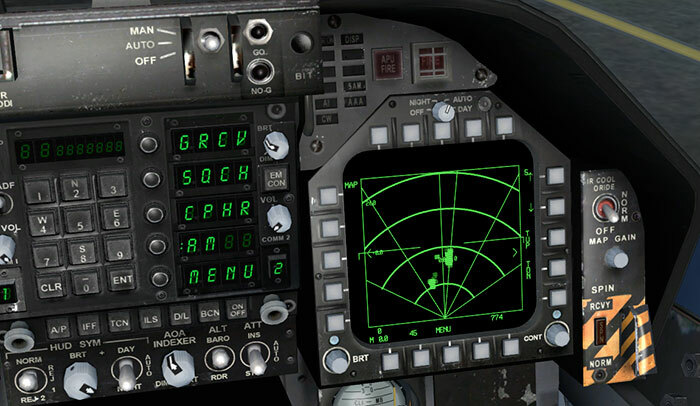 The targeting actually takes place inside the ordinance and is relayed to the aircraft and the pilot via the computers and HUD inside the cockpit and helmet. The distance a target can be engaged by AA Missiles (air to air) is limited by the ordinance.. mostly by the fuel it can carry. Im not an ordinance guy but I think the furthest Id heard of an AA missile being fired and hitting a target was like a mile or two, but again we'll get to that in a sec. There are several different types of radios on the aircraft but the three most common are IFF, SQUAWK, and Voice (Pilots, feel free to correct me here). For our purposes here, we're going to be focusing on IFF or Identification Friend or Foe. MOST countries (and this includes the Russia and its Federated States) will attempt to contact any unknown aircraft BEFORE they blow it out of the sky. An aircraft is unknown if its SQUAWK and IFF dont match any listed flight plans. BELIEVE me.. this doesnt work like you see in the movies, the military KNOWS what sorties it has up and running, who they are, what their SQUAWK and IFF should be.. and they're both very VERY hard to fake. So lets now imagine that the US does somehow fake Russian IFFs or SQUAWKS. The Syrians are not stone age barbarians, THEIR pilots know the difference between an F-18 and a Russian SU.. the profile (the sides, front and rear) of the two aircraft are completely different. Things like the tail fins, the air scoops, the armament configurations are known.. its how you visually ID an aircraft and not shoot down a friend. Now lets go back to your idea about shooting from miles away. Fighter pilots are trained to visually identify and aircraft BEFORE they blow it out of the sky just on the off chance that its NOT a threat. Yes, there have been mistakes in the past but those usually civilian airliners being shot down by military aircraft because they failed to respond to repeated calls for contact by the fighter aircraft, or ground/sea based radio calls. This brings me to Rules of Engagement. Military Aircraft and pilots have ROE just like ground troops. They will engage and fire ONLY when certain criteria are met. PART of that criteria, because of the tragedies with civilian aircraft, is to visually identify your target before you pull the trigger. At that point, the jig is up, the US Aircraft have been IDd by the Syrian Airforce and the "false flag" no longer exists.. period. Syria would be all over every news outlet they could get their hands on saying that the US had invaded and were trying to pass off as Russian Aircraft. The US isnt that stupid. It would literally make MORE sense to buy or steal Russian equipment and fly it to blame the Russians than dress up US fighter aircraft to try to pull that kind of stunt off. So no, the training scenario is completely and totally legitimate. During dog fight training, the US very regularly uses US Equipment to SIMULATE another country's equipment. They take an aircraft with a similar flight and maneuverability profile and train US pilots with them so that they're used to dealing with a fighter that moves like those targets. Train like you fight, fight like you train. it's been going on since 1968.
it's nothing new, and certainly has NOTHING to do with Syria. these aircraft have been around for years before the whole Syria thing was an itch in its daddies pants. funny thing... Nellis happens to be the Home of the 64th Aggressor squadron, attached to the 57th Adversary Tactics Group, which Flies... wait for it... F16s in camo schemes known to be Russian in origin. no conspiracy here, just the air force doing what the air force says it's doing, exactly where they say they are doing it. fancy that! The article says in the title the word "Conspiracy" and already makes mention of the Aggressor Squadron. Is this more about an individuals own feelings associated with, or their interpretation of the word 'Conspiracy' itself? The same aforementioned terminology is used again in the caption beneath the photo in your screenshot. "Triggering Debates and conspiracy theories online." This isn't a lie or a hoax. The vernacular in the article is pretty dubious and the 'cited' twitters are forming the 'Conspiracy' aspect. The original post cited by Christian Borys, who happens to be pretty critical of Russia in some of his recent activity, is then shown an hour after his original post to say this is standard procedure for the US Aggressor squadrons and to "stop with the conspiracies". My question is, why post or push the paint schemes in the first place if you know this to be standard procedure in the first place, then finish by saying "interesting nonetheless"? What is the intention of the OP and what good comes out of it? When I first saw this article, I already knew about aggressor squadrons. The article itself even points out that this is standard procedure and conspiracies and debate were in progress over it. This looks like bait from the person posting on Twitter, not so much from RT. Given the credentials of the OP, I immediately wonder whats the catch? The OP works for news outlets that are firmly entrenched in "The West" and are typically dismissive of RT. My puzzlement comes from the "Why?" for both RT and the Poster from Twitter? What is the intention of the OP and what good comes out of it? The intent was to debunk the linked story, and similar. By 'OP' Ithink Kristina is referring to the tweet, and querying the RT article, not this debunk thread or your post. I thought the same until I re-read it. OP means opening post. the first post in this thread. the RT article was not what was being discussed in the OP. it was 4 days later. because he thinks it is "interesting"? Perhaps you can write to him and ask him. I recognize the merit of calling it what it is to debunk false flag / ww3-theories. What i'm asking is, why present it as something ominous or 'interesting' at first, wait an hour, then come back and explain what is/tell people to stop with the conspiracies? If it's 'standard training' whats the point of mentioning Russian jets...in Syria? He obviously knew what it was because he described it in the second post... After the first post where it was merely "Interesting". This is 'debunked' I get that. As does 'Christian Borys'. But, why push it after the fact? There's intent beyond debunking and the nature of 'Christian Borys' posts clearly show this guy has ulterior motives. wait an hour, then come back and explain what is/tell people to stop with the conspiracies? heres the link to the full thread on twitter. Maybe he didn't know "why" it was standard practice until he read the debunk here or elsewhere. But us speculating as to his motives doesnt help anyone, can you ask him? then let us know.